Sore throat or pharyngitis is a common health problem suffered by kids. Sore throat makes swallowing difficult and is responsible for severe pain and tenderness of neck glands, which leaves children in debilitated state. As a result, parents always keep on searching for suitable sore throat remedies that can offer quick relief from the symptoms and eventually eliminate the factors causing the condition. 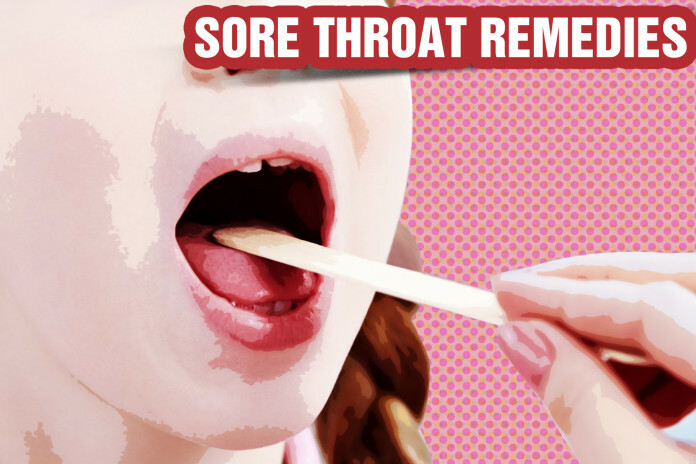 In this post, we will be discussing about conventional sore throat remedies for kids as well as some extremely effective home remedies for sore throat. 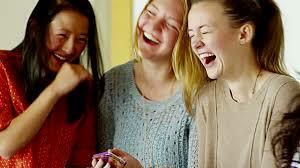 However, before that we would want our readers to get acquainted with the condition and its causes. Allergens: Kids who are allergic to pollen, pet dander, mold or any other irritant can also develop a sore throat after being exposed to these allergens. Allergic reactions caused by irritants results in accumulation of mucus in the back of the throat, which might end up irritating the patient’s throat and causing inflammation and pain. Dry air: The other environmental factor that can cause a sore throat is dry air. Dry air can make the throat feel scratchy and raw. Cigarette smoke: Sore throat can be caused both by active and passive smoking. GERD or Gastroesophageal Reflux Disease: GERD is a digestive condition, which takes place when the acid produced by the stomach returns to the esophagus. This digestive disorder can result in symptoms like nausea, heartburn, hoarseness, and sore throat. One may also develop sore throat as a result of yelling too much. In addition, very rarely sore throat might serve as an indication of HIV. So, before finding out how to get rid of a sore throat, one must determine the factors leading to the condition. Only a trained and qualified doctor can help you in determining the cause. Does Sore Throat Need Antibiotics? When it comes to sore throat remedies, using antibiotics is of course an option. However, it has been found that antibiotic-based treatment is not needed for a large share of sore throats that starts improving within one or two weeks. Here, it must be noted that antibiotics will not be useful for treating sore throats caused by irritation from dry air or a virus; use of antibiotic to use such cases of sore throat might end up harming the patient. Antibiotics will help a kid with sore throat if the physician finds that he or she is actually suffering from a strep throat, a condition caused by Streptococcus pyogenes, a bacterium. To confirm whether it’s actually a strep throat, it is important to carry out a lab test. For that, the technician will need to collect a sample from the patient’s throat using a swab. During the antibiotic therapy and for another 10 days after the course is over, parents must use a first-rate acidophilus-bifidus blend for replenishing the beneficial bacteria in the kid’s digestive tract. The market has several such products; ideally, you should consult your child’s doctor to know which one will be most effective. The acidophilus blend should always be stored in the refrigerator. Kid to Drink Hot Lemon Water to cure Sore Throat. Here are some remedies that can help in treating sore throat in kids irrespective of the factor causing the condition. Lemon and honey: Don’t use this remedy for a child below the age of one year. This is because bacteria spores present in honey might cause infant botulism in kids who are yet to complete 12 months. So, if your kid has completed one year and is suffering from a sore throat, this remedy will work wonders. Add a tablespoon of raw honey and half tablespoon of lemon juice to a cup of warm water and make your child drink it. While lemon and honey will respectively help in breaking up the mucus and coating the inflamed throat, warm water will reduce the itchiness. Salt water gargles: This remedy will be effective for kids above the age of 3 to 4 years as kids below that age will not be able to gargle. Add half teaspoon of salt to a cup of moderately hot water (cold enough to not burn your kid’s oral cavity). Salt water gargles will help in soothing the itchiness and pain caused by sore throat. Marshmallow root (althaea): You will have to soak these roots in water overnight and make your little one drink the water after straining in the morning. Ideally, you should soak 1 tablespoon of dried althaea in a cup of boiling hot water. This herbal ingredient is known to be safe for kids, but it does interact with certain medications and is also known for affecting blood sugar. So, before trying this remedy don’t forget to consult your child’s doctor. Sage and Echinacea: Using a blend of sage and Echinacea in form of spray has been found to help kids with a sore throat. While sage works as an antiseptic and also breaks up the mucus, Echinacea plays the role of an immune system booster. Essential oils: A hot water steam using essential oils such as eucalyptus, lavender, peppermint, German chamomile or benzoin can also help. Water: This is one of the must-follow sore throat remedies for children. As a parent, you must ensure that your ailing child is drinking enough water. Staying hydrated will give the little ones the strength of fighting off bacteria or washing away allergens. How much water your child must consume depends on his or her activity level, the surrounding climate and temperature, and the amount of watery fruits he or she is consuming every day. The pediatrician will guide you on this. Keep on checking your child’s urine; if it’s light yellow or white, the little one is getting enough water. Other that finding out how to cure a sore throat, as a parent you must also find out how to give your child some relief from throat itchiness quickly. Turmeric and milk: Before the little one goes to bed, make him or her drink a cup (reduce the quantity if your kid is not a big fan of milk) of milk containing turmeric. To prepare this drink boil a cup of milk along with a teaspoonful of turmeric powder. Hot soup of beverages: A bowlful of hot soup with a splash of lemon juice will reduce itchiness instantly. If your kid is above ten years of age, you can offer him a cup of hot green tea or peppermint tea. Keep checking our website for more sore throat news and tips.